We’d love your help. 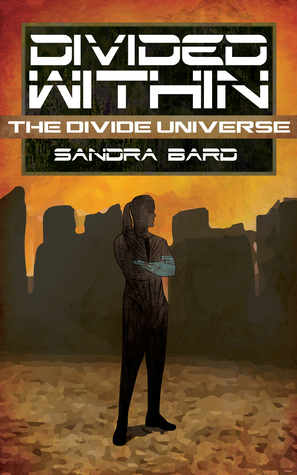 Let us know what’s wrong with this preview of Divided Within by Sandra Bard. When Commander Michelle is murdered, the duty of managing the exploration base falls to Izaak. But Science Division doesn't want him in authority, his second in command is transferring out, and the inspector sent to investigate the murder is someone Izaak would much rather never have to see again. All in all, he'd rather be fighting monsters behind the Divide. ♦ 57,000 word When Commander Michelle is murdered, the duty of managing the exploration base falls to Izaak. But Science Division doesn't want him in authority, his second in command is transferring out, and the inspector sent to investigate the murder is someone Izaak would much rather never have to see again. To ask other readers questions about Divided Within, please sign up. This author does interesting Sci fi and worldbuilding, but sometimes I am baffled by her romances. This one includes a character that is unlikeable by design, and she bases the romance solely on physical attraction. There is no emotional bond at all. By the end of the book, I still couldn't figure out what the point of the romance was in the novel, or why they were together. I had the hardest time following their explanation of events and what was going on. I think it, along with the other books in this series, needed to be edited a bit more rigorously. She grew up travelling the world from Africa to Asia and, though she now lectures full Sandra Bard started writing when she was quite young because there was always a story inside her head, but never thought of writing for an audience until recently. She only decided to try her hand at writing for the sake of being published after a series of events left her with some free time and in between jobs.